This thread is wonderful for any project that needs that extra special touch! When stitching with this thread, the ribbon-like thread adds a dramatic holographic sparkle to your finished products! 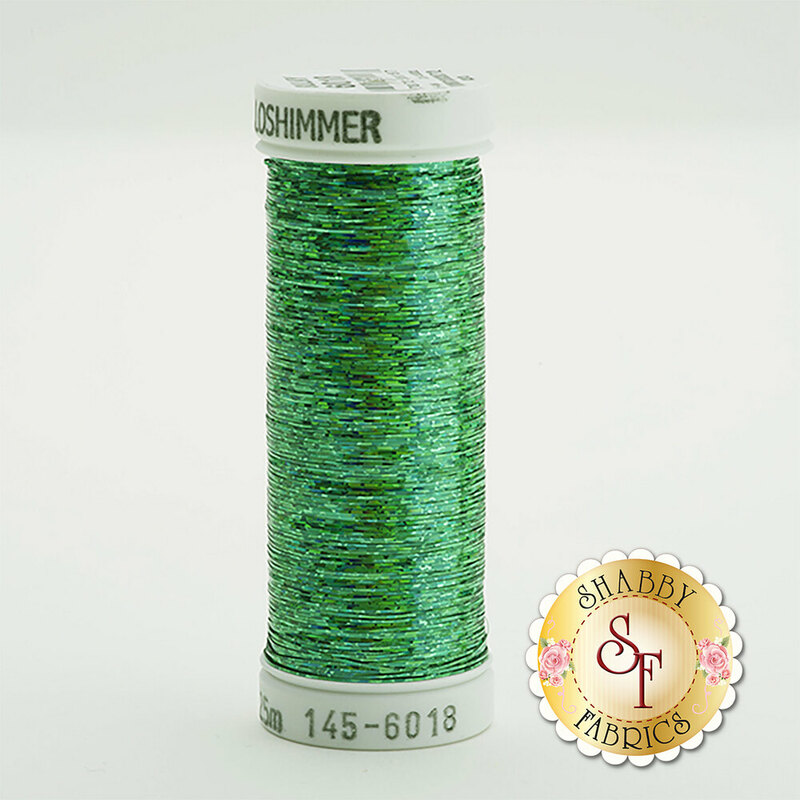 This thread is a holographic polyester laminated foil thread that creates incredible sparkle!